Among our many fine products, Graduation Mall presents the impressive custom Doctoral Hood. Our high-end academic regalia is made from the same high quality fabrics that one comes to expect. Constructed from matte polyester and satin, detailed with a soft and supple velvet flourish this garment, will offer an indelible impression as you stand on the platform during this momentous occasion.Not everyone achieves this milestone and you should be very proud of this very prestigious and hard earned accomplishment. Having been in the business of supplying graduates at all levels of scholastic achievement for the past thirty years, we know how hard you have worked for this academic distinction. This is why we set about to create an impressive line of academic regalia befitting such a milestone. 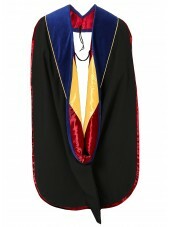 Whether you are looking to accessorize with one of our fine graduation stoles, or wear a handcrafted Doctoral Hood complete your ensemble, our goal is to set you apart from the crowd, as you receive a well-deserved honor. 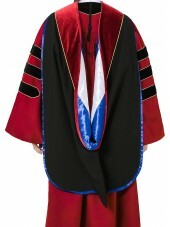 At Graduation Mall, you are sure to look distinguished when wearing one of our impressive academic garments. 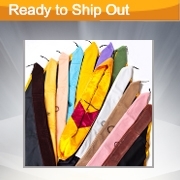 As with many of our products, we offer full customization in a variety of colors and detailed trims. You will not find a more impressive, or affordable academic garment than in the scholastic lines offered through Graduation Mall. Although Graduation Mall is one of the forerunners of fashion forwards scholastic apparel, we also have a more traditional line of Doctoral Robes and appropriate matching accessories. We take pride in offering the customer the latest trends and styles as well as the more traditional looks for the soon-to-be-graduate. 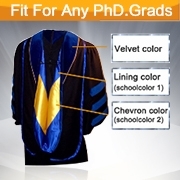 Whether you are looking for a traditional Doctoral Cap, or a searching for a distinguished, yet fashion forward Doctoral Hood , Graduation Mall has the right fit for you.